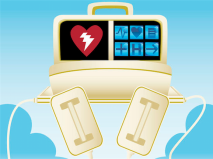 The requirements that must be in place in order to purchase and use an Automated External Defibrillator (AED). Federal and State laws vary, but typically include Physician oversight of your AED program, Prescriptions for each device, Site protocols, CPR/AED trained responders, and monthly readiness checks. Local municipalities also may require AED registration with your Emergency Medical Services department, as well as post event reporting. All of these requirements are put in place to ensure that your AED is functional and ready when an emergency strikes. AED Total Solution was born from a desire to find a better way. Frustrated by complex legislation and incomplete programs, we believed there should be no barriers to those who choose to protect the lives of their people by implementing AED’s. We’ve set out to create the most effective and affordable AED program management system on the market. Comprehensive in covering every aspect of your program, yet intuitive and simple to use, AED Total Solution is unmatched in the industry, and backed by a passionate and proactive client support team. AED Total Solution’s comprehensive services include Physician Oversight, AED prescriptions and registration, all AED supplies, customized organizational web portal, automated email notifications and alerts, ongoing benefits and support, and complete Post-event services. 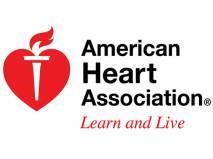 Need to Purchase an AED or Setup Training? Contact us for more information and discount pricing. Call for our Non-Profit and quantity discount programs: 855-888-CPR1 (2771). 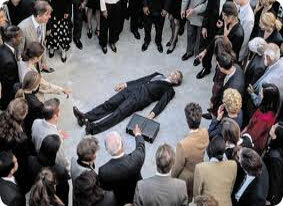 AED Total Solution has done an excellent job taking over our AED program. The program has increased the safety and readiness of our hotel, while minimizing liability as a whole. They send out new supplies automatically before old ones expire, and when we have an AED event, they handle everything from providing a loaner AED to creating a post-event report with notifications. 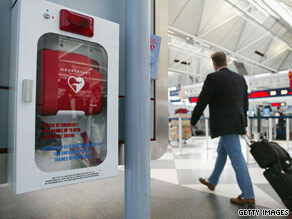 AED Total Solution worked seamlessly with our staff to identify all the AED's within City facilities. They trained City staff and introduced them to the new inspection policy and sent new supplies to every facility that needed them, ensuring they were installed correctly. Tracking and replenishing AED’s and supplies for almost 400 offices nationwide, was very time intensive, and tracking was a constant problem.AED Total Solution created an online site for our company and spent the first month contacting every single office investigating the exact state of all of our AEDs. They sent the needed supplies to every office and updated their database and our online site. They explained to each of our office managers how to do their monthly checks, and our AED program is now running smoother and more efficiently than ever before.CPR1 came in with big promises and high expectations - I'm happy to say they've exceeded on every level! AED Total Solution worked with us to decide exactly what our needs were, walked us through every step of creating our new program, and trained our nurses and health clerks on keeping the AEDs up-to-date, staying legally compliant, and what to do in an emergency. They also recently handled every aspect of a recent voluntary manufacturer recall, working on our behalf to ensure all affected AEDs were switched out successfully with new ones. Geoff Albrecht, EMS Safety Services, Inc., EMS Safety Services, Inc.